Are you doing a little bit more than notarizing an Acknowledgment or Jurat? If you do, is it better to ask other notaries, or your Notary association like to NNA hot line for advise? Take a look at this case. Suppose you have two children. Your daughter is very capable, very mature, very responsible. Your son has a developmental disability, or a drinking problem, or just problems handling money. What should you do with any inheritance you leave to your son? Put it in a trust? Make your daughter trustee? Again and again clients tell us that they don’t want to do that. It seems like a lot of fuss, and probably the son whose inheritance goes into a trust will feel injured, like maybe his parents have said they don’t trust him, or don’t value him. Can’t you just leave everything to your daughter, and tell her to be sure to take care of her brother? Won’t that work? That’s essentially what Howard Kaufman (not his real name) decided to do. By all reports Howard was very strong-willed and domineering. He had a living trust, written in 2002, which divided most of his estate equally between his two daughters. He named his daughters as successor co-trustees. Howard’s older daughter, Diane, was blind, diabetic and receiving Social Security Disability benefits. His younger daughter, Jackie, was a successful business woman. In 2009, Howard decided to change his trust’s terms. He called a meeting with Jackie and his long-time girlfriend (Diane was not included); he arranged for a notary to be present. He told the three of them that he had changed his mind, and that he was going to disinherit Diane. He told Jackie that it would be her duty to see that Diane was “taken care of” with the inheritance she was to receive. Then he had the notary prepare amendments to his trust removing Diane as a beneficiary. Diane ended up suing her sister. The theory of her lawsuit, though, was unusual. Rather than arguing that the trust change was invalid, or that Jackie had unduly influenced their father, she sued for a breach of contract. Her theory: Jackie had promised to take care of her, and it would take about $2 million over her lifetime to do that. She also claimed that Jackie had taken advantage of both their father (a vulnerable adult) and Diane (a dependent adult). The jury in Diane’s case found that Jackie had broken her promise, and had taken advantage of Diane. The jury awarded actual damages of $1.4 million, plus punitive damages of $260,000 and attorneys fees of another $700,000. The jury also ruled against Diane with regard to the vulnerable adult claim — it found that Jackie had not taken advantage of their father. Jackie appealed the judgments against her. The California Court of Appeals upheld the verdict. It ruled that Diane’s lawsuit was not a disguised trust contest, and that it was not inconsistent that they found Jackie had exploited Diane but not their father. One of the main issues: whether Diane was entitled to a jury trial on her claim. The appellate court ruled that she had, and that Jackie’s promise to take care of her sister was an enforceable contract. Kalfin v. Kalfin, October 15, 2013. Disinheriting your child with disabilities and relying on another child to “take care of” them is not a reliable way to handle division of your estate. It might work, but there are real risks — and the cost and family disharmony resulting from litigation is almost certainly worse than what would be involved in simply setting up a trust for te child with a disability. Do you have a child with a disability? A complicated estate? Uncommon wishes? Talk to a lawyer. A notary public is not going to be the best choice for drafting your estate plan. The cost of doing it right will be way, way less than the cost of dealing with the aftermath. Law Office of Joan Medeiros, Estate Planning, Assets Protection, Special Needs Planning, Wills and Trusts, Elder Law, Medi-Cal Planning, Sacramento, California. 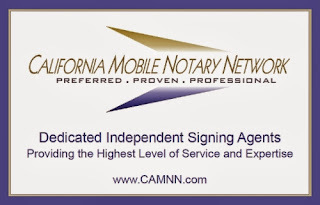 I am a member of the National Notary Association Notary Signing Agents Small Business Section since 2003. Through the years I have received referrals from this page. 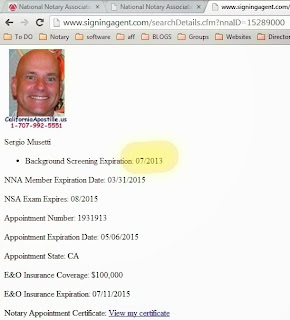 It is a good idea to keep your profile current so I was checking today for all the information and noticed that my Background Screening Expiration shows 07/2013 and not 07/2015. That would explained why so many companies contacted me asking to update my background information. Fidelity National Title is requiring their affiliates, title companies, settlement companies, signing agencies to have their Notaries with update information. It is probably a glitch in the programming and IT will take care of it. 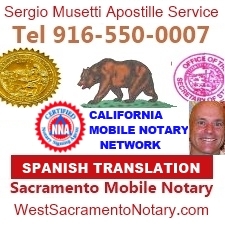 So it's good for Notaries and any other professionals with profiles on the Internet to review and update their information often. First call to National Notary Association regarding this issue was Friday 18, 2013. A rep said IT will take a look at it. Second call Monday 21, another rep repeated the same. Third call Tuesday 22... still the website is not updated. Quicken Loans has competitive rates and fees that can save you money. We close the majority of our loans in 30 days or less, and 95% of our clients recommend us! Business & Commercial Property Owners: Tax change Jan 2014.
Business & Commercial Property Owners had a old war to classify their properties for tax purposes: Improvement versus Repairs/Maintenance. The difference may be deducting on a period of 39 years versus only 1 year. On the eerily appropriate day of Friday the 13th, the IRS released the final version of its Tangible Property Repair Regulations. The IRS has been working on these regs since 2004. The final regulations are the fourth version released by the IRS. They supersede temporary regulations that were issued at the end of 2011, and resulted in many complaints from the business community and tax practitioners due to their extraordinary length, complexity, and often hard-line approach. The somewhat business-friendlier and simplified final regulations go into effect for tax years beginning Jan. 1, 2014. To call these regulations important is an understatement. For owners of tangible business property, including commercial buildings and residential rental properties, they represent the most significant change in the tax laws since 1986. So what’s the big deal? Well, literally for generations, a small war has been going on between owners of business property and the IRS over two IRC Sections: 263(a) and 162(a). IRC Section 263(a) says that amounts paid to acquire, produce or improve tangible property must be capitalized over its useful life and not deducted in a single year. On the other hand, IRC Section 162(a) says that a taxpayer may deduct all ordinary and necessary expenses paid or incurred during the tax year in carrying on any trade or business, including the costs of supplies, repairs and maintenance. The upshot is that if an expense is classified as an improvement, it must be capitalized a little at a time over many years — 39 years in the case of commercial buildings. If it’s a repair or maintenance, it can be currently deducted in a single year. Obviously, business property owners prefer expenses to be classified as repairs (or maintenance) so they can deduct the whole amount in a year. The IRS often prefers the opposite. Until Sept. 13, the IRS had produced no useful regulations describing how to determine whether something was a repair or an improvement. Instead, business property owners and the IRS itself had to rely on a hodgepodge of court decisions and IRS rulings that sometimes conflicted with each other. Now, for the first time ever, we have very highly detailed guidance on this issue that the IRS is bound to follow. So now, if you want to know whether you can deduct in a single year the money you spend to replace all the windows in your rental property or repave the driveway, you can look to these regulations for your answer. Unfortunately, the regulations remain complex and very lengthy. They are 222 pages long — more than 80,000 words. It’s impossible to even begin to summarize them in a single article. Next week we’ll go over the most significant changes the IRS made to the 2011 temporary regulations, several of which are very helpful for owners of smaller residential rental properties. Under normal conditions, homebuyers would be leaping off the fence to grab lower mortgage rates, but with the shutdown, there's enough uncertainty in the air to keep mortgage consumers on the sideline until Uncle Sam is open for business again. Some of that uncertainty over the mortgage market and the government stoppage is linked to facts on the ground, and some is closer to fiction. "Watching the markets, mortgage rates did waver a little but we didn't see massive movement some expected," says David Hall, President of Shore Mortgage, a Troy, Mich.-based mortgage services provider. "This shutdown does come at an especially bad time as new home sales and home construction are building back up. More uncertainty is not what we need." 1) Lower rates may be due to the shutdown - By and large, mortgage rates move with the direction of the economy. If banks and mortgage lenders think the economy is slowing - as it likely will under a prolonged shutdown - they will lower rates to attract more business. In fact, rates remain fairly unscathed at this point, although there is an upward bias," says Bob Van Gilder, a mortgage broker at Finance One Mortgage. "There may be some bumps in the road as the I.R.S. and the Social Security Administration have limited services, which will affect the mortgage process. But if you are being offered a rate that is attractive to you take it. You can't lose by being able to sleep at night." 2) FHA loans will be affected - If you're a consumer waiting on a Federal Housing Administration (FHA) loan, you could be out of luck for now. In fact, approved mortgages will certainly be slowed while the FHA is shut down, even as it provides other services to the public. The reason is this. With any FHA loan, mortgage services firms have to order a FHA case number, prior to an appraisal on the home. With the FHA's lights out, those case numbers can't be processed. Expect that process to take longer with fewer hands on deck. 3) I.R.S. 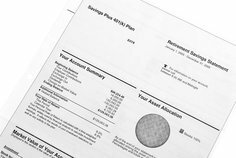 documents out of reach - Another consequence of the U.S. government shutdown is the inability of mortgage firms to verify a borrower's income via his or her U.S. tax returns. By law, any mortgage loan approval is subject to the review by the mortgage lender of at least one year's worth of federal tax returns, and must be verified by the I.R.S. through a 4506 Transcript. With I.R.S. staffers at home, that process is stalled as tax agency workers would be unable to verify tax return documents. Some industry experts say the damage here may be minimal, depending on the size of the lender. "One of the biggest impacts to the mortgage market is that the ability to obtain a 4506 and Social Security Number Verification has been halted," says Jason Auerbach, an LPO manager at New York city-based First Choice Bank/Lending. "The 4506 IRS Transcript is verification from the IRS that the income documentation, specifically tax returns, provided by a client match with what they filed." Auerbach adds that the 4506 mandate does not impact lenders who are selling loans directly to Fannie Mae so many of the large lenders will see little disruption. However, smaller lenders who sell adjustable rate mortgages to investors may have to halt that lending," he says. 4) A weaker U.S. housing market - The U.S. Housing and Urban Development, which runs the Federal Housing Authority, only has 337 out of 8,709 managers and staffers on the job this week. The longer that HUD is blacked out, the more potential problems for the U.S. housing market. "If the shutdown lasts and our commitment authority runs out, we do expect that potential homeowners will be impacted, as well as home sellers and the entire housing market. We could also see a decline in home sales during an extended shutdown period, reversing the trend toward a strengthening market that we've been experiencing," HUD said in a recent report, entitled HUD 2013 Contingency Plan for Possible Lapse in Appropriations released last week (find it at http://portal.hud.gov:80/hudportal/HUD , under "Featured News." HUD does report that essential services, like HUD homeless assistance grants, housing services for veterans and housing for disabled people and AIDs patients will continue running. The mortgage market should largely remain up and running during the government shutdown, and homebuyers may even get a bonus, if mortgage rates keep falling while government agencies are shuttered. By no means it is a perfect scenario, but for homebuyer, sellers, and real estate professionals, it's certainly a survivable one. Mortgage rates were flat to slightly higher today,depending on the lender. Overall, rates are still very close to their best levels since June 19th with Friday being the only noticeably better day for a few lenders. It's worth noting that more than a few lenders are in no worse shape than they were on Friday. The movement has been quite modest. Conforming 30yr Fixed rates remain most efficient (best-execution) at 4.25% though some lenders have attractive buydowns to 4.125% while others remain at 4.375%. The modest movement be somewhat counterintuitive given the clamor of recent headline events and theseemingly dire implications for the the economy. One explanation is that financial markets often begin moving in the direction implied by the outcome against which they're defending. That's a pretty confusing sentence, so let's just say this: markets had been guarding against a shutdown by moving lower in rate. In that sense, if the shutdown was avoided, we may well have seen rates move higher more quickly today. The actual movement was small enough that it doesn't insist on being scrutinized. The other explanation--and one that works by itself or in conjunction with the previous thought--is that markets care far less about political drama than they do about things like this week's big employment data. In fact, the biggest piece of employment data may now be delayed due to the shutdown, leaving financial markets to figuratively ask "what now?" It's as if we were all dressed up with nowhere to go today, and thus simply drifted with a breeze that happened to be toward slightly higher rates. We may be able to confirm the extent to which markets are eying employment data tomorrow morning as we will get the ADP Employment Report. This one isn't produced by the government and thus won't be subject to a delay. It's designed to track the government report in terms of its movement and even on normal weeks can cause quite a stir if it suggests a surprise is on the way when the official report is normally released 2 days later. The fact that the official report may not be following this week could place extra emphasis on ADP's numbers. Weaker-than-expected employment may help rates stay or move lower, while stronger-than-expected numbers could continue applying upward pressure. But the Fed decided to keep a change in QE amounts on hold until the economy could more convincingly show that rising rates (which had been rising because markets expected the Fed to taper!) wouldn't be too big an impediment to further improvement. That's resulted in the first meaningful "pause" in the "rising rate environment" since it began in earnest in May, 2013. This won't necessarily be an ongoing move in the other direction, and we're nowhere near May's rates yet, but it's a good opportunity to get back in the market if rising rates pushed you out sometime between now and then. Who is affected by the government shutdown? At the Dane County Housing Authority, which gets federal funding to run its rental assistance program, Executive Director Rob Dicke said the agency was able to make its October payments to participating landlords. The program covers roughly 1,000 low-income families, or about 3,500 people, who get Section 8 vouchers to pay 70 percent of their monthly rent payments through the program. One of the biggest questions regarding the shutdown and how it will affect housing has revolved around the mortgage market, specifically prospective buyers’ access to new home loans. After all, more than 90% of all loan activity is underwritten, insured, or owned by the government and its affiliated entities. Where there has been mounting concern is the Federal Housing Administration, which currently endorses about 15% of the entire single-family mortgage market. One government lender that will indeed suspend its home loan activity, however, is the Department of Agriculture. Other Government Shutdown funny notes. "If the government does shut down, nonessential White House employees will be sent home without pay. So more bad news for Joe Biden." 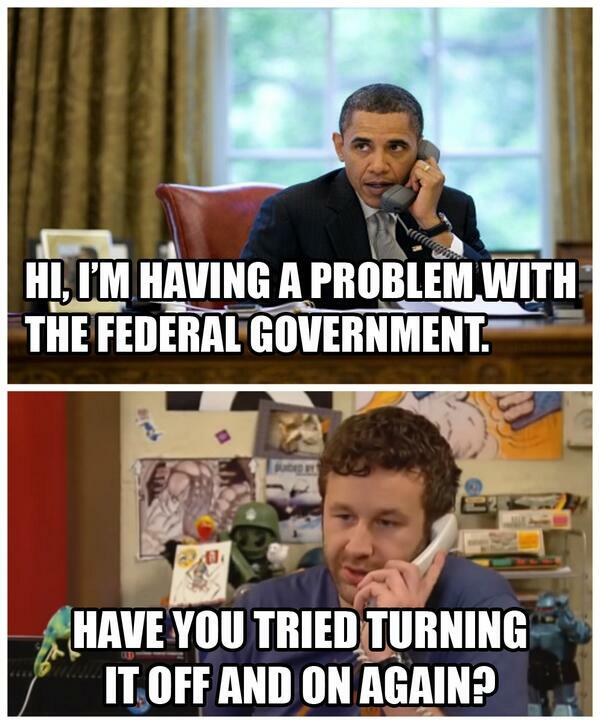 -- "Since 1976, there have been 17 government shutdowns. The longest was during the four years that Jimmy Carter was president." "If they don’t or didn't reach a compromise tonight -- the budget won’t be passed and a partial shutdown will go into effect. Which I hope means I won’t get any more parking tickets."